Our position? That it might be too early to judge. But we are certainly rooting for him, and we see the potential for a transformative change in the industry. Dr. Gawande is an uncommonly gifted practitioner and communicator. His commitment and his sincerity are unimpeachable. 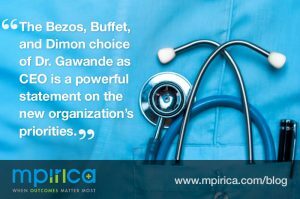 And what’s more, his vision for healthcare has a lot in common with MPIRICA’s. 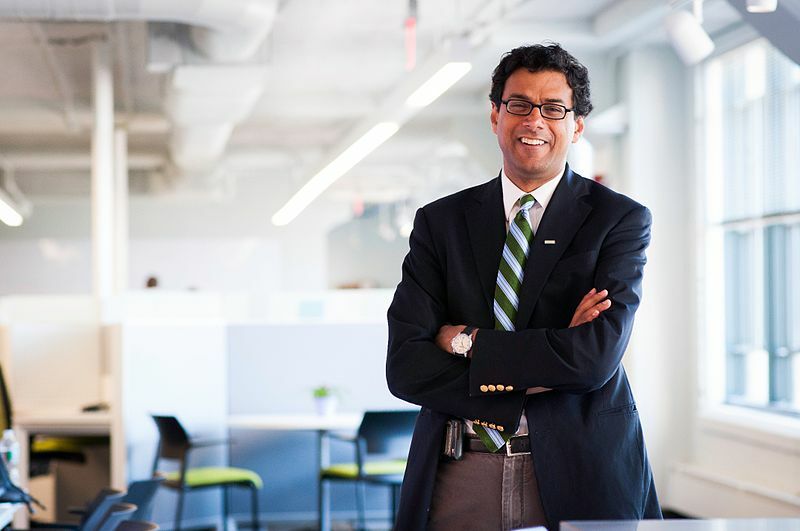 First and foremost, Dr. Gawande is a peerless advocate for surgical quality. A practicing surgeon himself, he calls surgical care one of healthcare’s three “critical moments” (the other two being childbirth and serious illness). Getting these moments right, according to Dr. Gawande, has more potential to save lives than any other aspect of patient care. Dr. Gawande – much like MPIRICA – believes in pursuing better surgery by avoiding complications. While MPIRICA helps patients (and payers) do that by selecting excellent surgeons, Dr. Gawande’s work helps surgeons improve their own work. He developed the World Health Organization’s Safe Surgery Checklist. The list guides surgeons through three key phases of every surgical procedure – just prior to anesthesia, just before making the first incision, and just before the patient leaves the operating room. It’s a simple, no-nonsense approach. And it works. ORs that use the list see post-operative complications and mortality drop by nearly 36%. That’s why the checklist is now used by a majority of surgical providers around the world. Dr. Gawande also has a keen eye for costs. His seminal essay on healthcare pricing appeared in The New Yorker in 2009. It was an extended investigation of healthcare in McAllen, Texas, a tiny town where Medicare spent almost double the national average, per person. [McAllen Residents] received one-fifth to two-thirds more gallbladder operations, knee replacements, breast biopsies, and bladder scopes. They also received two to three times as many pacemakers, implantable defibrillators, cardiac-bypass operations, carotid endarterectomies, and coronary-artery stents… The primary cause of McAllen’s extreme costs was, very simply, the across-the-board overuse of medicine. That may be how he won the attention of the ABC industry titans. Clearly, Dr. Gawande shares Mr. Buffett’s view that healthcare costs are a ‘tapeworm’ eating away American competitiveness from inside out. And, like MPIRICA, he believes that controlling surgical costs should be our first line of intervention. Whether Dr. Gawande can stamp out the tapeworm will depend on who he enlists to help him. The choice of CEO is an important one. That Buffett, Bezos, and Dimon chose Dr. Gawande is a powerful statement on the new organization’s priorities. As in every new venture, however, ABC’s success won’t come from a vision alone — it will all be in the execution. For that, Dr. Gawande will need a COO, one who is as gifted with the ticklish details of healthcare delivery, payment, and policy as he is in the OR. That person will not be easy to find. But as Gawande and ABC’s founders look to make a wise choice, those of us in the trenches, with a common vision, will continue to work hard to prepare the landscape for their disruptive entry. > Learn more about MPIRICA’s solution for Employers.